The bandstand, in small Village of Hustisford, is located in Memorial Park. It was dedicated on October 30, 1916, in memory of John Hustis, founder of Hustisford, and his wife Laura Ann (Ludington) Hustis as a gift by their daughters Josephine L. Hustis and Florence L. Anthony to the Village of Hustisford. In the early years, concertina bands (button box type accordions) and regular bands plays and political events were held. From the 1950s to the 1990s, there was not much activity. In the 1990s, the historical society became involved in coordinating its use for bands and other activities. The eight-sided wooden structure is no longer used for concerts but for concessions. The bands now play on the park grounds. Music in the park is scheduled in the evenings on the 2nd and 4th Tuesdays from June through August. 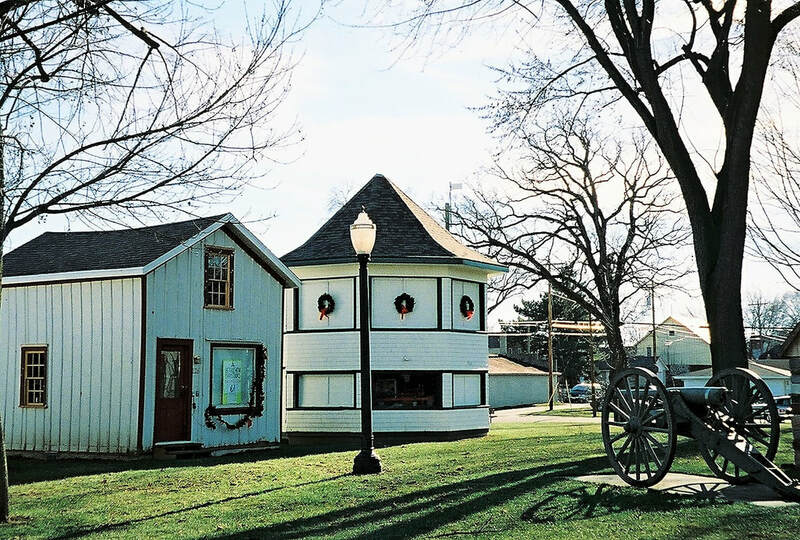 Memorial Park also is home to the John Hustis House Museum, built in 1851 by John Hustis, the Spinning Wheel shop, built in 1860, and the Shoe Shop, built in 1888 On display are many artifacts representative of the early years of Hustisford and a variety of original belongings of the Hustis family.